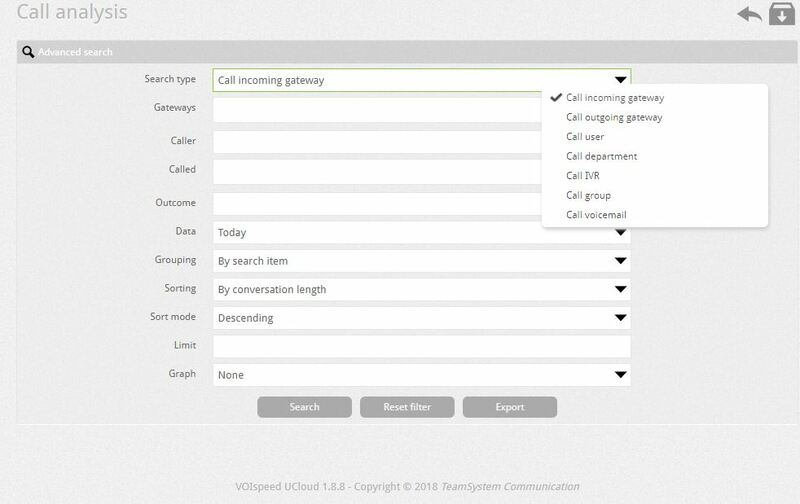 UCloud has introduced a great feature: the ability to manage call reports from the cloud. 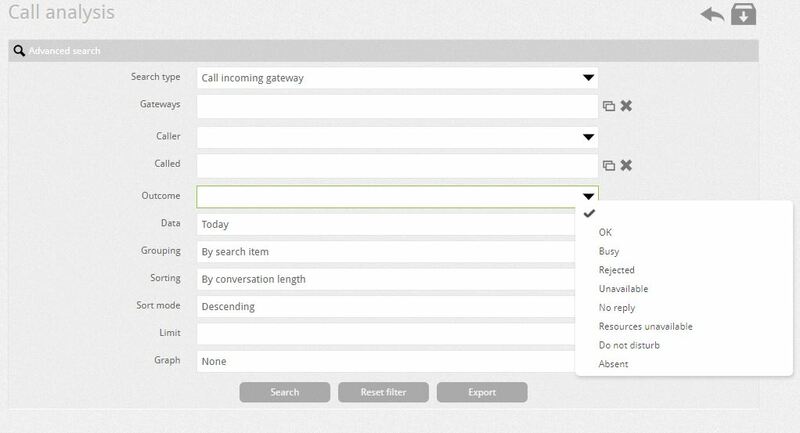 To access this hover on ‘Reports Tab’ and click ‘Call Analyser’ on the drop-down. 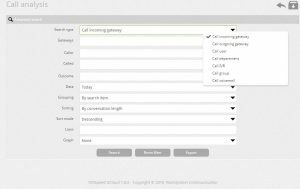 Call Analysis feature allows the user to process data of a phone call which can be sorted and converted into a CSV.file giving the user information about the usage of their current phone system. So take advantage of the reporting system within VOIspeed! 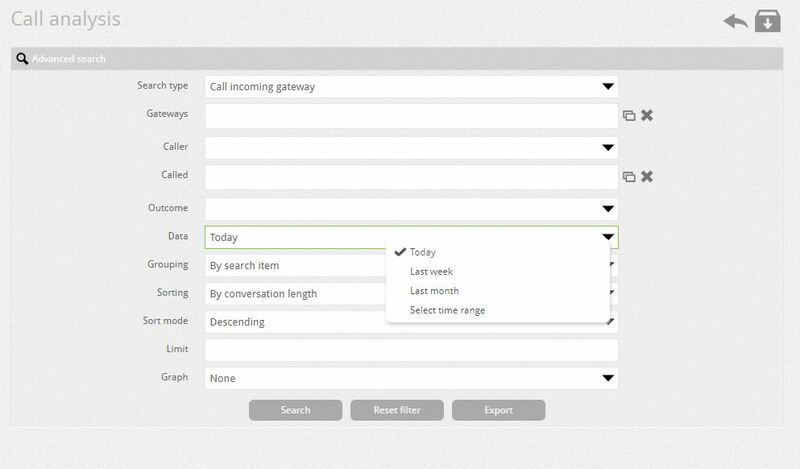 Reports process basic phone call data into something relevant towards a goal for your company. 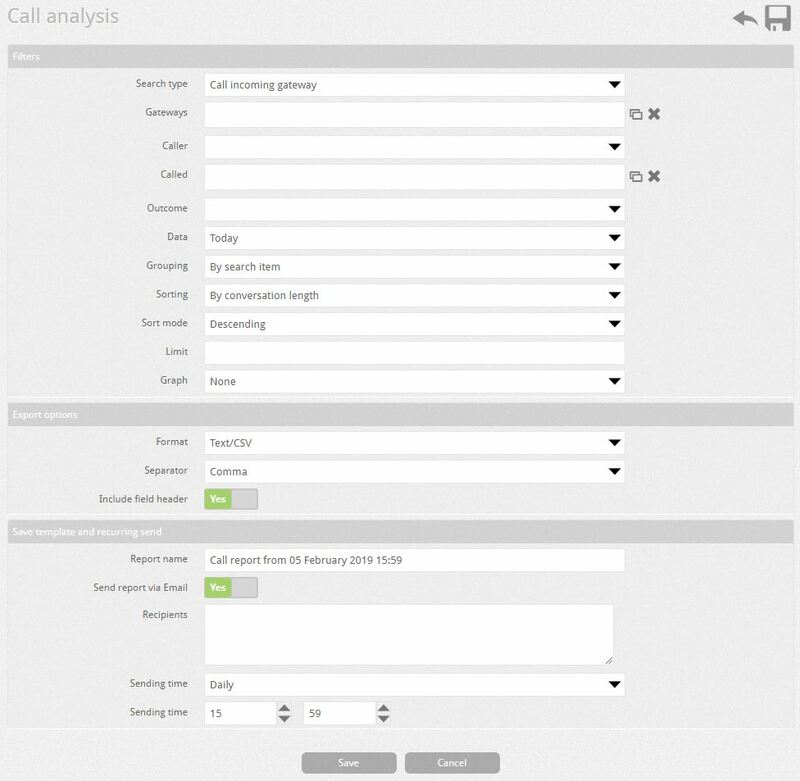 It gives the user the ability to analyse calls in bulk or to specify further information. NB: Leaving a field blank allows the system automatically to perceive it as ‘All’. 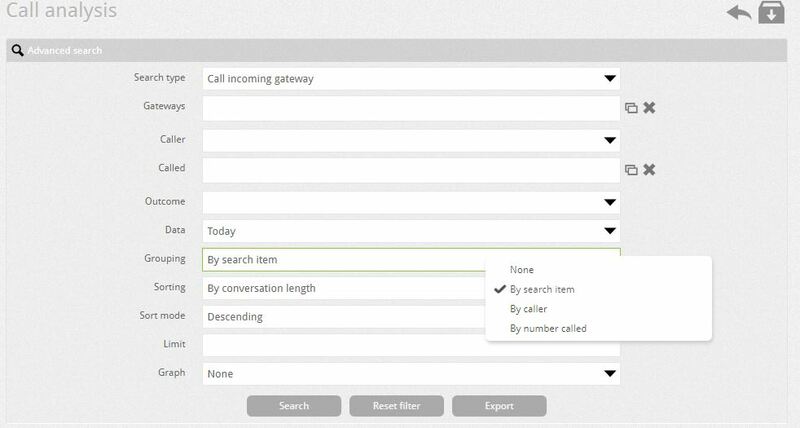 Search type: function allows the user to input a search on where the call was established. Caller: Option which specifies who first established the phone call. 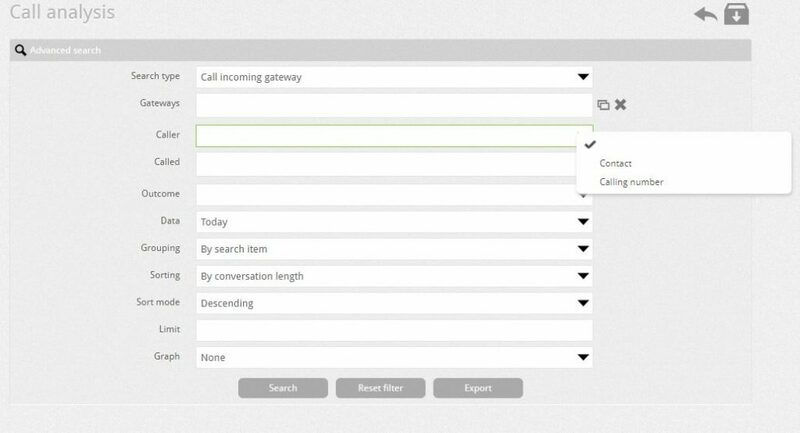 Outcome: Separates the search function on the status of the call. Date: Choose a specific time and date. Grouping: Allows the user to bulk the data dependant of the types below. Sorting: How the user would like the data to be organised. Limit: Input a number to set the amount of lines created by the report. Graph: The form of how you would like your data to be presented. The results table will produce the following information (see below). Ring time: this is the total time phones have been ringing and it should include ‘hold time’ (NB: if you have music on hold starting in your group the call will be ringing in the group while being on hold). 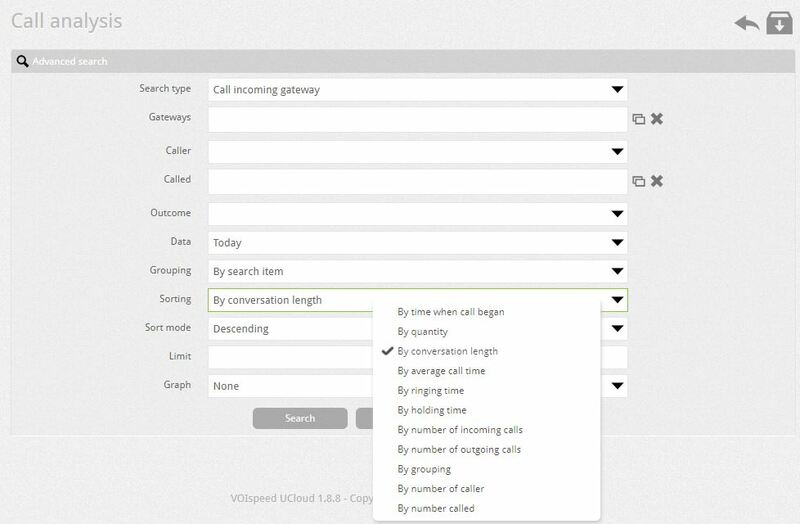 To see the average time a call is answered you need to divide Ring Time by the number of calls. Hold time: it is the time calls have been on hold either in the group (while phones have been ringing and the on hold music was playing) or the user has put the call on hold to transfer it somewhere. Usually is less than the Ring Time. Outcome No Reply: number of calls that have been disconnected by the callee (i.e. the person calling has decided to call back) and have not gone to voicemail (for which we have a different report). You can save the template of your current search and change the name. Click Send report via Email allows the user to receive the report at a certain time.  You can add a recipient list of email addresses who you would like this report to be sent to. 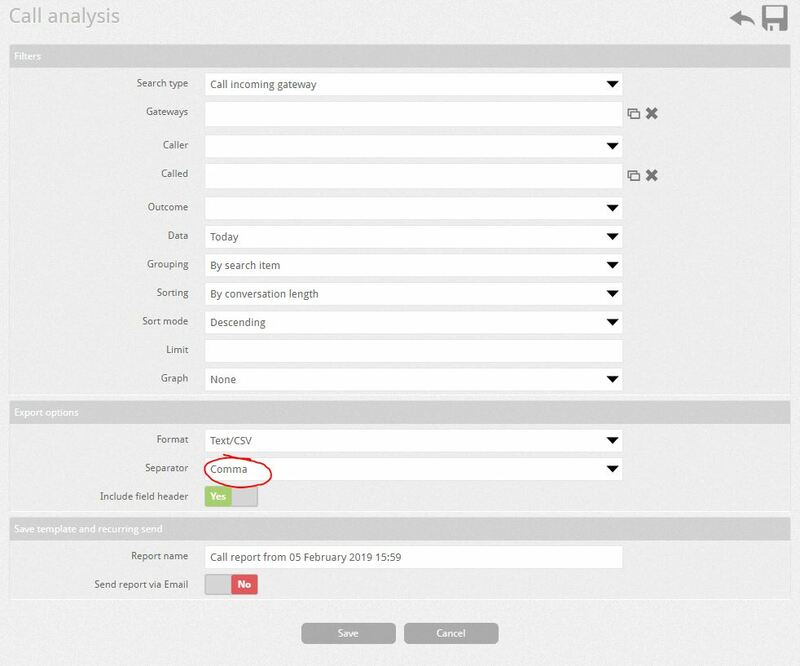 You can also edit and update the Saved template on the main Call analysis menu. You can turn on or turn the recurring email sent to certain email address in the list. Sending time allows the user to configure the frequency and the specific time of the reports being sent to the specified emails.